The Yamasaki TS21 Fiber Scout operates on the Optical Time Domain Reflectometer (OTDR) principle to determine the length of singlemode fibers. With FC, SC and ST connectors and LC connectors available on request the Fibrescout is an effective and simple solution for identifying faults. The ability to run for >10 hours or >5000 measurements means you’ll easily finish your testing without worry. 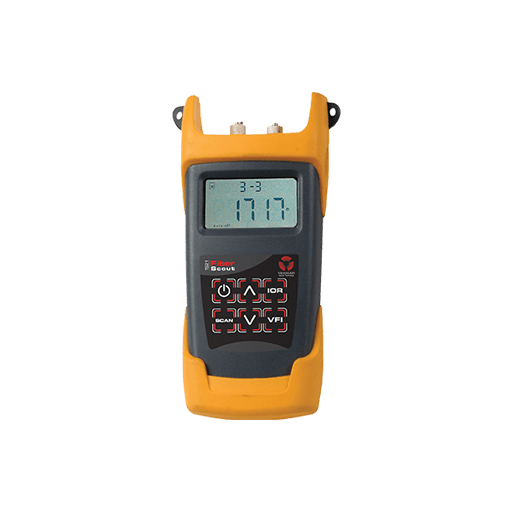 Featuring a built-in 650nm Visible Fault Identifier can assist the user in Visual Fault Identification within a distance of 15km. The Yamasaki TS21 Fiber Scout operates on the OTDR principle to determine the length of singlemode fibers. It is a cost effective and simple solution for identifying faults. The lightweight, rugged, dustproof and water resistant device can list up to 8 results at one time. The Fiberscout features; an automatic power control which automatically tests and adjusts to the best power level according to the real test environment and automatic pulse width selection which automatically selects the most suitable pulse width according to the real test distance..